The testicle or testis contains several different cell types. These include the germ cells, which make sperm, the supporting and nourishing Sertoli cells, and the hormone-producing interstitial (or Leydig) cells. Any of these cell types may become cancerous. The germ cells that make sperm may become cancers known as seminomas, the Sertoli cells become Sertoli cell tumors and the interstitial cells become Leydig or interstitial celltumors. Most testicular tumors are benign and can be permanently cured by castration. This needs to be total (i.e. both testicles) as many tumors occur simultaneously in both testicles. Spread to other parts of the body (metastasis) is unusual if the cancer is surgically removed at an early stage. "Testicular tumors are benign and can be permanently cured by castration." Very occasionally, the germ cells develop abnormally to produce many different tissues, producing a tumor called a teratoma. These are usually recognized in younger dogs and may be congenital (present from birth). Most are benign in behavior. The reason why a particular pet may develop this, or any cancer, is not straightforward. Cancer is often the culmination of a series of circumstances that come together for the unfortunate individual. It is the result of non-lethal genetic damage to cells, and external contributory factors include radiation, chemicals, hormones and infections. The mutated cells upset the normal regulation of cell death and replacement. They do this by activating growth-promoting oncogenes (cancer genes), inactivating suppressor genes and altering the genes that regulate normal, programmed cell death (apoptosis). Little is known about the specific causes of testicular tumors but at some stage, they probably need hormones to enable them to grow. Cancer induction is a multi-step process called tumor progression. Some cancers never progress past the first stages so remain benign. Others progress more rapidly. Some animals have a genetic tendency to develop some cancers. Some breeds have more of these cancers than others. 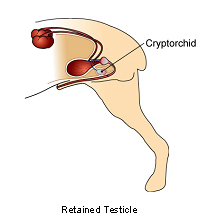 Cryptorchidism (lack of descent of the testicle) may have a genetic basis and is a predisposing factor for seminomas and Sertoli cell cancers. In some cases, an animal may have been exposed to factors in the environment that cause or promote cancer. These include hormones. The more divisions a cell undergoes, the more probable is a mutation so cancer is more common in older animals. "Testicular cancers are common tumors in dogs, mainly in older animals." Testicular cancers are common tumors in dogs, mainly in older animals. As almost all domestic cats are castrated, the tumors are very rare in cats but similar types do exist, particularly in larger species of cats kept in zoos and not castrated. How will the cancer affect my pet? With most testicular tumors, the affected testicle will increase in size, but sometimes shrinking of the other testicle is more obvious. Not all cancers produce a visible lump. In particular, interstitial cell tumors may be small and approximately half of these are bilateral (in both testes). In other dogs, the clinical signs are those of prostate enlargement and difficulty in passing motions. Some of the cancers, particularly those of Sertoli cell origin, produce female (estrogen) hormones. These hormones may cause a "feminizing syndrome", with hair loss, increased size of mammary glands and teats. The influence of hormones may also cause enlargement of the prostate. 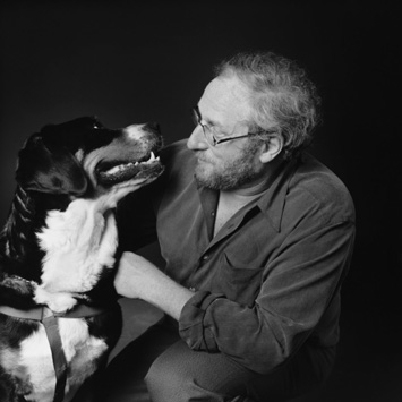 The increased estrogen production may make your dog attractive to other male dogs. Sometimes, this is more obvious than a change in the size of the testicles. Interstitial cells normally produce the male hormone (testosterone) but the tumor cells are non-functional and do not produce male hormones. "Malignant cancers are more common in undescended testicles." Malignant cancers are more common in undescended testicles. They are unusual in descended testicles. These cancers (usually seminomas or Sertoli cell tumors) may spread through the body by invading the lymph transport system with tumors in the pelvic area and occasionally into the body cavity. Weight loss due to loss of body fat and muscle may then occur. Clinically, if one testicle or both testicles enlarge, your veterinarian will usually suspect a testicular tumors. However, testicular enlargement may also be caused by other testicular problems including inflammation and infection. Blood hormone levels are not reliable for diagnosis of these tumors. Definitive diagnosis of the type of tumor, the stage it has reached and therefore prediction of behavior (prognosis) relies upon microscopic examination of tissue (histopathology). Your veterinarian will submit the samples to a specialized laboratory for examination and diagnosis by a veterinary pathologist. The usual treatment is castration, or surgical removal of both testicles. Other treatments have not been successful in the management of testicular tumors. Cancer rarely disappears without treatment but as development is a multi-step process, it may stop at some stages. Rarely, loss of blood supply will make the cancer die (for example if the cord that suspends the testicle becomes twisted, causing strangulation), but the dead testicle will still need surgical removal. The body's immune system is not effective in making these tumors to regress. If the scrotum becomes ulcerated, the area will need to be kept clean. After surgery, you need to keep the incision site clean and dry and prevent your pet from interfering with it. Report any loss of stitches or significant swelling or bleeding to your veterinarian. You may be asked to check that your pet is able to pass urine and feces, especially if the prostate was also enlarged. If you require additional advice on post-surgical care, please ask. How will I know if the cancer is permanently cured? 'Cured' has to be a guarded term in dealing with any cancer. However, the histopathology report will give your veterinarian the diagnosis that helps to indicate how it is likely to behave. The veterinary pathologist usually adds a prognosis that describes the probability of local recurrence or metastasis (distant spread). "In most cases, the diagnosis and prognosis indicate there can be a complete cure." In most cases, the diagnosis and prognosis indicate there can be a complete cure. Sadly, there are some cases where the diagnosis and prognosis indicate that surgical removal will only give remission and the cancer is already spreading. 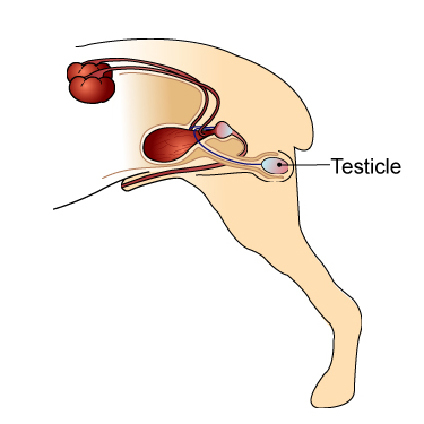 There are a few testicular tumors that are difficult to predict behaviorally.